Description - Shaw Unify Carpet tiles are made with multiple different colored fibers that keep within each tiles color scheme allowing the different colored lines to meld, with beautiful results. Tiles are made using a multi-level pattern loop giving each carpet tile square added texture. Unify can also be mixed and matched with any of our solid tiles for a more unique, custom look. These floor tiles come with a lifetime warranty and can be used as flooring for an entire room or as a custom area rug. These modular carpet tiles are very easy to install only needing double-sided tape for most installations and can be installed in both residential and commercial spaces. These carpet tile squares are also very ‘Eco-Friendly’ being constructed with a backing that is 100% PVC free and a recycled nylon fiber, making this the perfect tile for anyone looking to go ‘Green’. 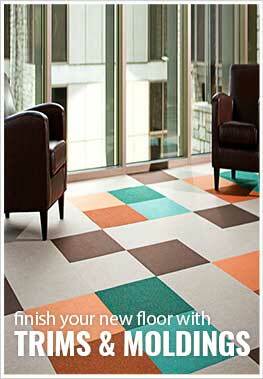 Unify tiles are also very easy to clean and maintain, and are the perfect alternative to broadloom carpet. Weight - 0.83 Lbs. per square foot. Recommended Uses - Shaw Unify carpet tiles have been used in both commercial and residential applications because of their durability, versatility and ease of installation. Because of these facts, carpet tiles are quickly replacing broadloom carpet and have been installed in nurseries, basements, kitchens, bedrooms, weight rooms, home gyms, garages, workout rooms, and elderly care rooms and many other areas. Carpet Tile squares do not require special equipment or cleaning products. Extremely durable with added texture. Do any of your carpet tiles work over radiant heat? Shaw's Unify carpet can be installed over radiant heating.